Take your Lexus to the next level. 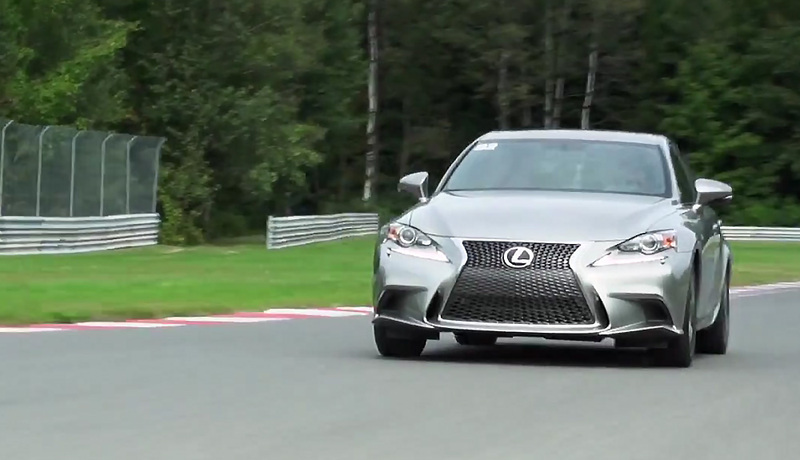 The Lexus High Performance Driving Program is designed for Lexus Owners to become the masters of their machines. It is a unique opportunity to discover the performance capabilities and active safety systems of your Lexus while enhancing your driving skills. You’ll learn about the dynamics of cornering, precision handling capabilities, emergency avoidance and a host of other performance related skills from a team of professional instructors. All in a safe yet performance based environment. For more information about past events or to view multimedia content, please visit Lexus.ca. What would the day’s itinerary look like? All instructors are qualified professional performance drivers with most having hands-on racing experience. Do I need to do anything with my vehicle beforehand? Before arriving at your High Performance Driving Program, it is important to ensure that your Lexus is in safe working condition. It is recommended to have vehicle components such as brakes, tires and fluids checked at your local Lexus dealership. What driving skills are taught in the summer vs the winter? There are a variety of skills taught and experienced in the summer program. These include slalom, emergency avoidance and cornering dynamics. Drivers also get to experience lapping sessions with the instructors themselves. All participants are educated on proper performance driving seating, vision, steering and braking. What should I bring with me on the day of the event? On the day of your scheduled event, please ensure you come to the track with a valid driver’s license and, if you wish, a helmet. Depending on the season, the recommended attire will differ. In the summer, it is recommended that you wear comfortable loose clothing, sunglasses and proper foot wear (e.g. tennis shoes). In the winter time, it is recommended that you wear warm but loose and comfortable clothing (as you will spend most of the sessions in the car) and sunglasses. Please avoid wearing heavy, bulky boots for the driving sessions, as such footwear may restrain your movement. Will I be able to bring a guest with me? Each participant is welcome to bring 1 guest, provided they are 21 years of age or older. Please indicate your intention to bring a guest on the registration form. Will I be able to take photos to video of my experience? By all means. In fact, mention Lexus Canada with @LexusCanada or #LexusCanada on social media for a chance to be featured on a national scale.